Not all carbs are bad. Low carb diet plans let you eat “good” carbohydrates, whole grains and beans, and have you avoid “bad” carbs, things like flour and sugars. Several popular low carb plans such as the South Beach Diet, the Zone Diet, and the Sonoma Diet offer very different approaches to weight loss. 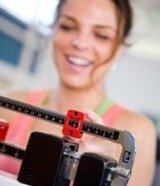 But which low carbohydrate diet plan is best for you? Here’s a quick look at all three. The South Beach Diet plan is one of the more talked about low carb diet plans on the market especially now that many of their meals and snack foods can be found in the grocer’s freezer and on the shelves. Unlike the other two diets we will look at, South Beach does focus more on being low in carbohydrates. This low carbohydrate diet plan has three phases. The first phase is almost the Atkins plan, a difficult food regime that greatly restricts carbs while you eat lots of protein and fats but no fruits, vegetables or bread in the first two weeks. The second phase is more like the Zone Diet, bringing in carbs again such as fruits and other things forbidden in phase one, but instructs that if you plateau or begin to gain weight, you need to start over and spend another two weeks in phase one. Phase three of this low carb diet plan is all about weight maintenance once goals are reached. It allows most anything but you must go back to square one if you start to gain weight again. The aim of the South Beach low carb diet is to teach you about good and bad carbs, as well as good and bad fats. You can enjoy fish, lean meats, low fat dairy, eggs, most veggies, some fruits, and artificial sweeteners on this diet plan. The Zone Diet is one of the more difficult low carb diet plans to follow successfully. It incorporates high protein and moderate fat intake but the down and dirty is that it is a restrictive calorie diet (800 to 1200 calories) and anyone will lose weight immediately at such low levels. The diet will have you eating proper portion sizes of all the right foods, at the right times throughout the day, so that your energy stays constant at an optimum level, i.e., in the “zone”. Foods included on this diet focus on lean meats, fruits and veggies, low fat cheeses and even small servings of moderate fat such as olive oil. It comes down to eating a low calorie balanced diet but only for short term weight loss. This is not a long term plan to follow. You can skip these low carb diet plans and design your own if you feel carbohydrates are your nemesis. To adopt an easy plan, cut out or greatly reduce sugars and high fructose items such as cookies, pastries, honey, soda, fruit juice, etc, as well as “white” foods such as bread, pasta, and rice. These low carb plans essentially stress a diet of high protein, low calorie meats and fish, as well as non-starchy vegetables and low GI fruits such as berries and apples.